MANILA -- President Rodrigo Duterte took a swipe at the European Union (EU) anew, claiming that it is into "international governing” by criticizing his crackdown on illegal drugs. “Who are you to run my country? That’s the problem with the European Union. They are into international governing,” Duterte said during the Asia Pacific Association of Gastroenterology forum in Lapu-Lapu City, Cebu on Friday. “They create an ICC (International Criminal Court), European community and they try to impose their values and the way they think how criminal is categorized and classified and want to impose it,” he added. Duterte also lambasted the ICC for trying to send him to prison for human rights violations in relation to alleged extrajudicial killings during his term as mayor of Davao City. The President has repeatedly defended his war on drugs, noting that police personnel killing criminals in their line of duty is not considered crime against humanity. “They want to send me to prison and try me for genocide. It was not for a -- it’s nothing for a race or… They’re bunch of criminals. They cannot even show me how they died? When did they die? Where? Nothing,” Duterte said. Last March, Duterte announced that he has decided to withdraw the Philippines’ ratification of the Rome Statute, a United Nations (UN) treaty creating the ICC. This, after the ICC Office of the Prosecutor bared in February that it would begin preliminary examination on the crimes against humanity linked to the administration’s drug war. 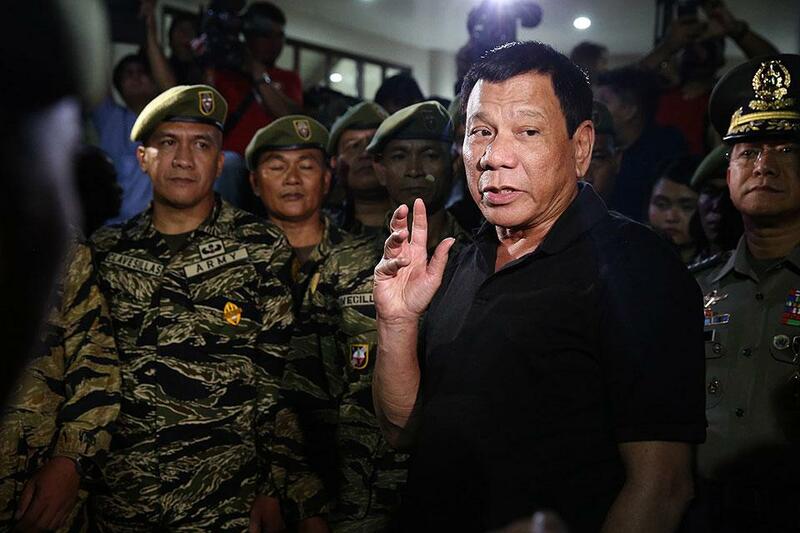 Duterte has insisted that the ICC has no jurisdiction over him and cited “baseless, unprecedented and outrageous attacks” as reasons to withdraw as a state party.